SRAM Road 48T 4mm chainrings are stamped from 7075-T6 aluminium with black hard anodized finish. PowerGlide ramps/pins for optimized shifting performance. 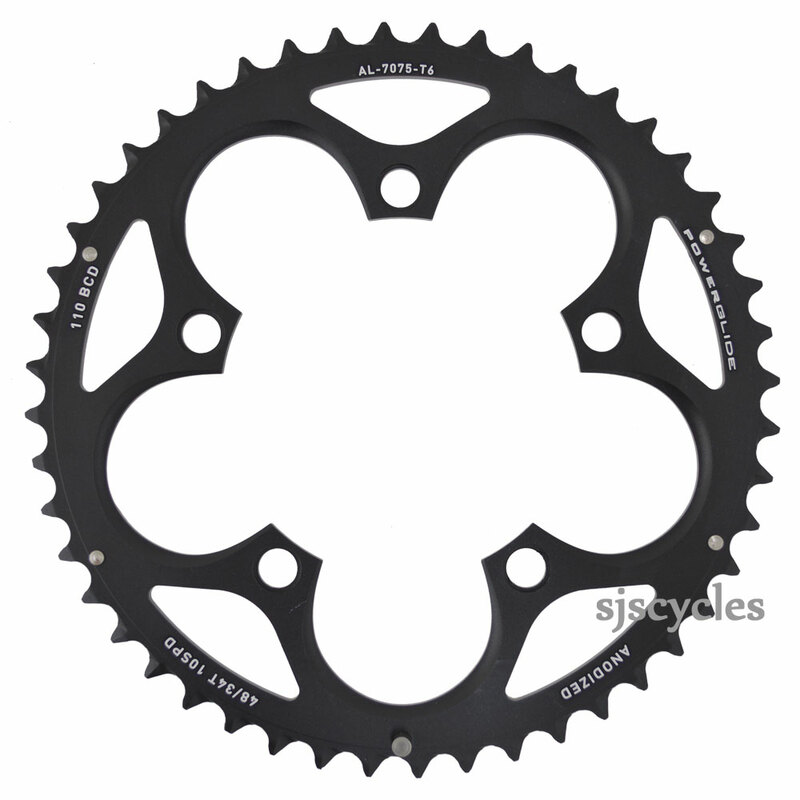 would it be compatible to replace FSA 10 speed ring? Yes this should work, the shifting may not be perfect though. Is this chaining compatible with 11speed. This chainring is designed for use with 10speed drivechains and we would not recommend it for use with anything else.